"No winter last forever, no spring skips its turn." Time for the launch of the Spring Summer 2019 Moonchild Yoga Wear Collection! The SS19 Collection "Summer Solstice" is a celebration of energy, light and warmth. The colors are a mix of vibrant, earthy tones that harness the magic of midsummer nights with the people we love. New Seamless Colors Launching Sunday 03.02.2019 ! Today we are sharing a sneak peek of the brand new seamless collection! The seamless technical knit leggings, zen top and crop tops are lightweight, breathable and a perfect fit for all sizes. Super-soft, quick drying and moisture wicking, these styles and tops are perfect for exercise like yoga, running, pilates and barre. The seamless collection has been one of the favourites of Moonchild fans around the world, which makes us incredible excited to share these new additions to our collection. Check out a little preview of the new SS19 Collection below! Maybe you can guess the names of these lovely new colors? Leave a comment below or send us a DM on Instagram @moonchildyogawear ! Then keep an eye out for the release of the names of these beautiful new colors on our Instagram stories later this week! Stay tuned for more details on the collection launch and other information via Instagram or our Newsletter. Simply scroll down to the bottom of the page and sign up for the newsletter under "Join Us Today!" 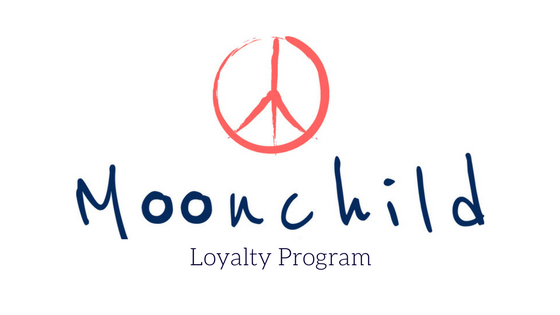 and get all the newest information about Moonchild!